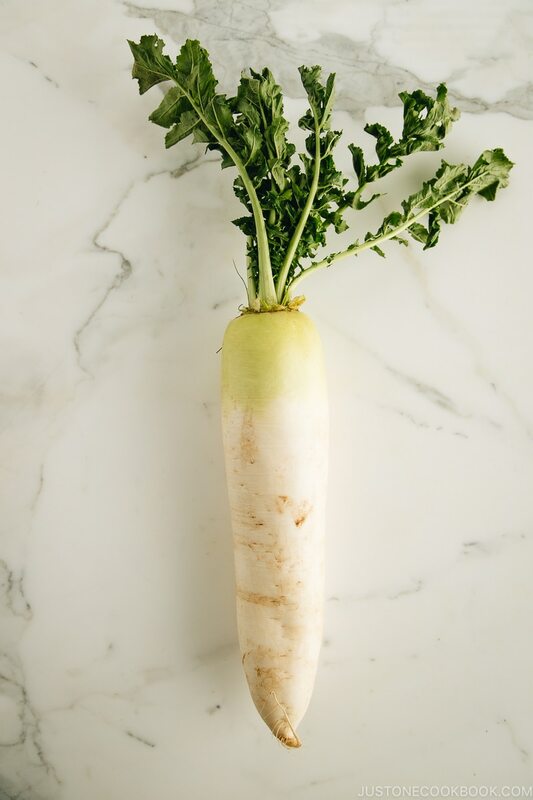 Daikon is a long white Japanese radish, which has a crunchy texture and a light peppery and sweet taste. 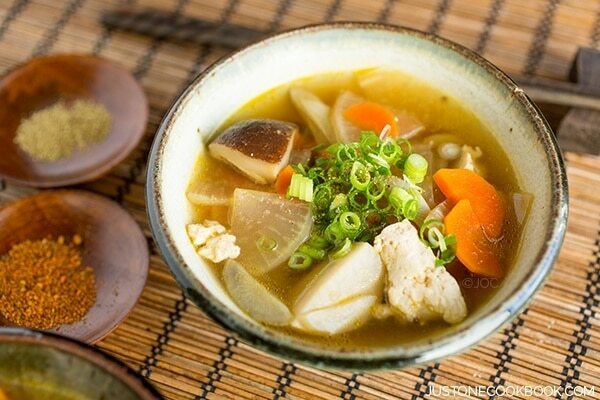 From pickles to salad and soups to simmered dishes, it’s widely used in Japanese cooking. Daikon (大根, literally “big root”) or Daikon Radish is a widely used root vegetable in Japanese cooking. A type of winter vegetable, daikon is characterized by its long white root and green leaves on top, resembling a pale chunky carrot. 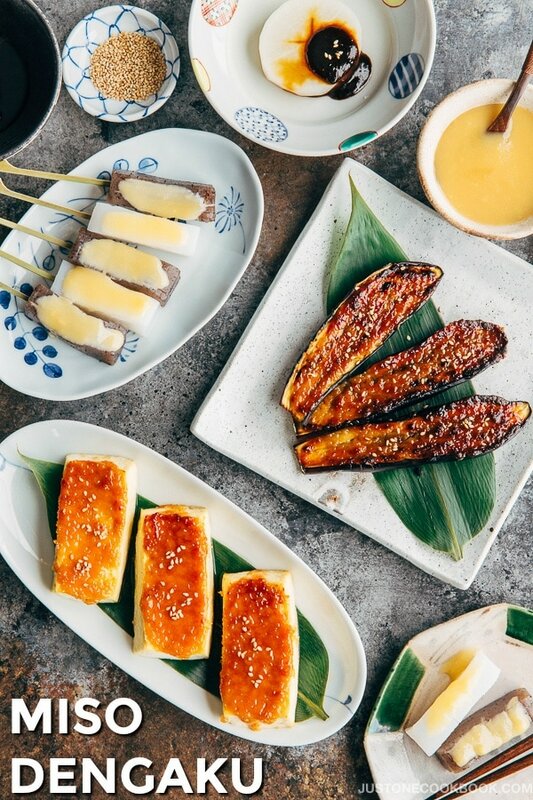 The root vegetable goes by many names, including Asian radish, Chinese radish, white radish, mooli, and so on as there are different varieties of daikon being cultivated in the different region. 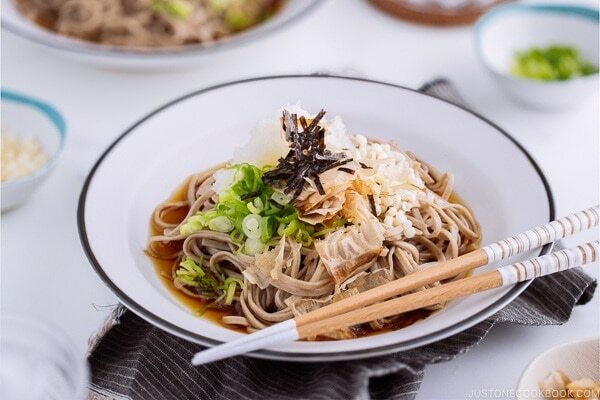 Valued for its health nutrition, it is not only enjoyed by the Japanese, but also a favorite vegetable in Chinese, Korean, and other Southeast Asian cooking. The Japanese variety is commonly known as Japanese daikon, and it is said there is more daikon produced in Japan than any other vegetable. What Does Daikon Taste Like? Compared to other radishes, daikon is milder in flavor and less peppery. When served raw, it’s mild and tangy, with a crisp and juicy texture. 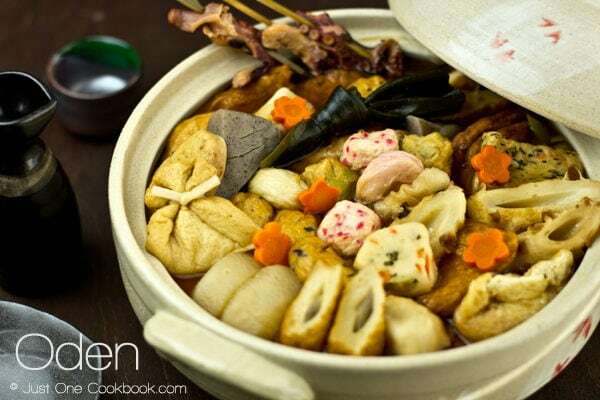 When cooked, it has a concentrated sweet flavor similar to cooked turnips. In Japan, we also eat raw daikon sprouts called kaiware daikon (カイワレ大根), which have a pungent and peppery flavor that adds a kick to salads. 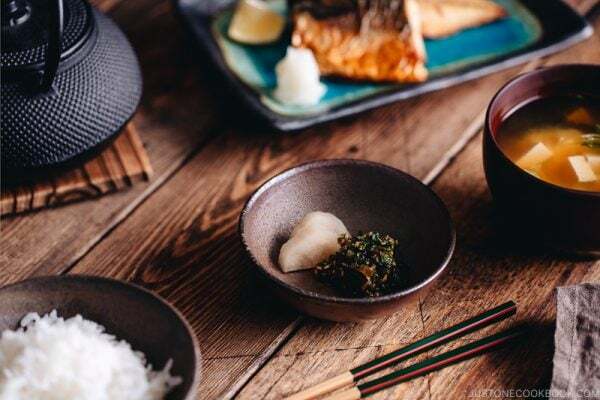 In Japan, you can often find daikon being served as an accompaniment to deep-fried dishes or any heavier meals as it is well known for its detox quality that stimulates the elimination of fats and excess toxins. It also contains enzymes that help improve digestion and improve blood circulation. 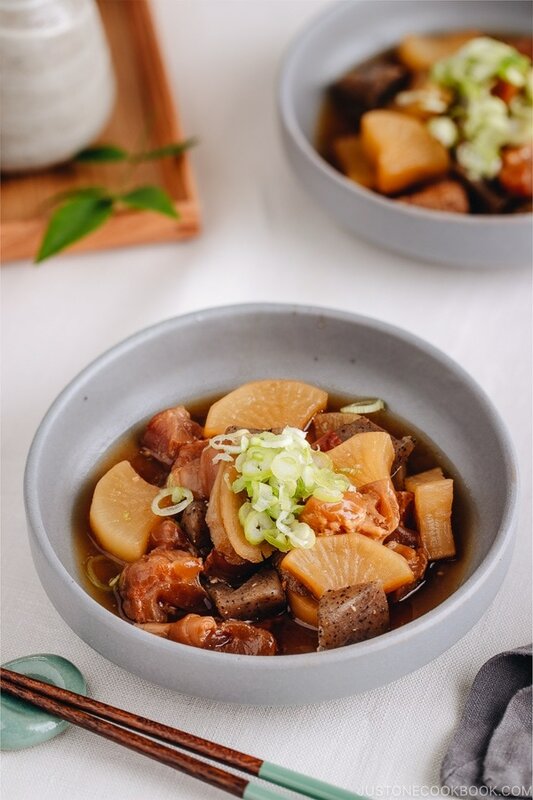 Since it’s low in calorie but high in fiber, daikon makes a delicious addition to our everyday meals, especially if you wish to main a healthy weight. 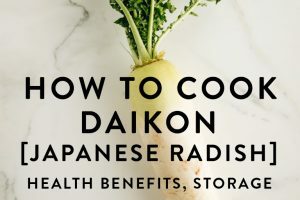 It is particularly appreciated by older Japanese as the health benefits of daikon have been well known for generations. It helps to strengthen bones, improves the immune system and respiratory health. In the US, you can find daikon being sold at Japanese or Asian grocery stores. 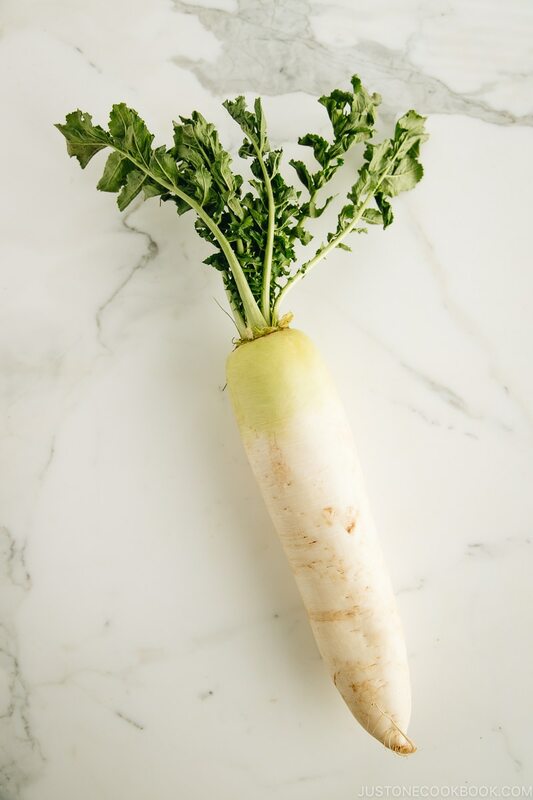 Nowadays, you can even find daikon available at Whole Foods, select Walmart and some well-stocked major grocery stores. If you are lucky, you may be able to find really fresh daikon at your local farmers market or CSA. Although daikon is known as a winter vegetable, and its best season is from November to December, it is available almost all year round. 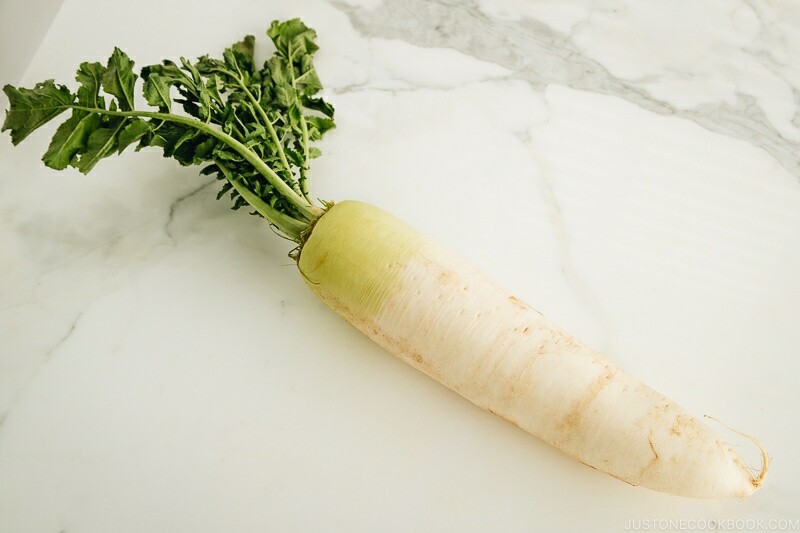 Here are some tips to pick the best daikon in the market. Choose heavy, plump, and straight daikon. To prolong the shelf life, separate the leaves and the root as the leaves absorb moistures from the root. Wrap daikon in plastic wrap or newspaper, then put in a plastic bag, and keep in the refrigerator. It can keep well for 1-2 weeks. Cook the leaves or salt the leaves. Keep in the fridge (3 days) and freezer (1 month). 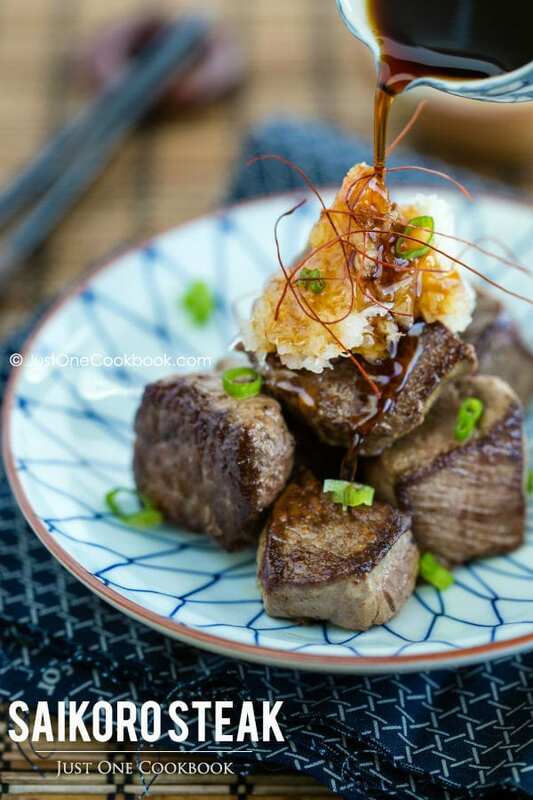 There are so many ways you can prepare and enjoy daikon! 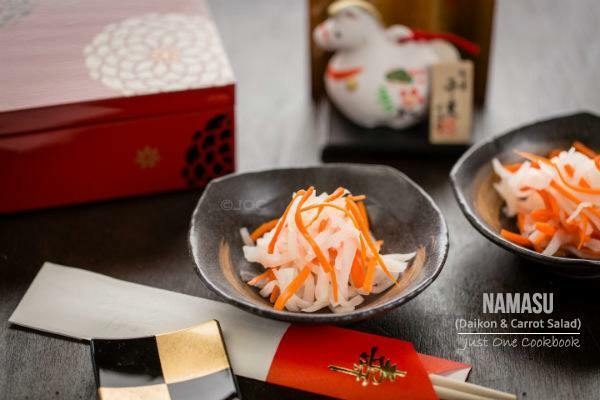 In Japanese cooking, daikon root is commonly pickled and eaten as a side dish or added to main dishes, grated, cubed or in thin slices. 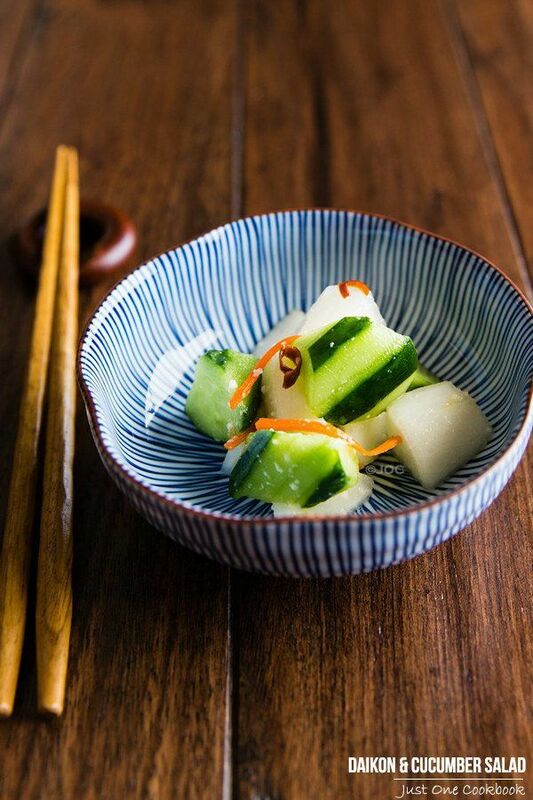 You have most likely tasted daikon where it is grated finely and served as an accompaniment to tempura. It’s refreshingly crunchy when eaten fresh and raw, yet sweet and tender when enjoyed in soups or stews. Also, don’t toss the green leaves away! Not only they are delicious, but they are packed with plenty of healthy benefits. The easiest way of using daikon greens is to add them to your stir fries or miso soup. 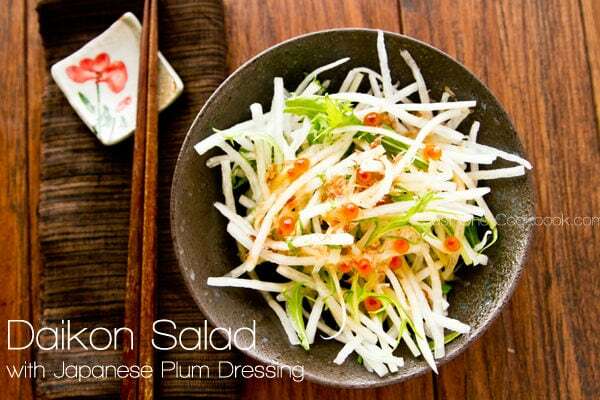 If you’re new to daikon, you’d want to pick one up from the grocery store right now! It could easily be one of your favorite root vegetables to enjoy. 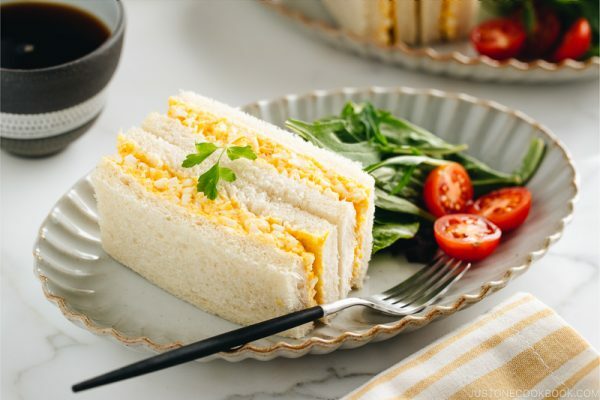 Japanese Ingredient Substitution: If you want to look for substitutes for Japanese condiments and ingredients, click here.